I am following a “parasite cleanse” using an expensive product. So I want to follow their directives, but when I saw their list of foods to avoid and “red meat” was on it, I started reading other people’s lists. Every parasite protocol has its variation of foods to avoid during a cleanse. Meat is not always on every list. HOWEVER, many exclude dairy. My product’s box doesn’t list dairy. Now I am wondering whether my homemade dairy kefir is detrimental? Hi my fellow Bostonian. I am a 32 year old male and I really need your help. I started allergy shots June 2015 and they haven’t helped much, I am allergic to trees, grass, weeds, mold, cats, dogs, I still get them every 3 weeks. Then 6 months after that my dermatologist prescribed me antibiotics for Hidradenitis suppurativa which I was only on for 2 months before getting off of them January 2016. In mid January 2016 I started getting crepitus in my knees with every step, then a few months later in my neck, then shoulders, elbow, wrist, ankle. All in the span of 6 months. Do you think the allergy shots are causing this? If so I’d want to get off right away or do you think it was the antibiotics that gave me candida? I also have joint pain in my hands and neck and numbness in calf, hands, chest, back on and off. I saw orthopedic doctors and I don’t have arthritis. I saw a Rheumatologist and I don’t have an autoimmune disease. I’ve been tested for lyme 3 times this past year and don’t have that either. Had emg tests and all my nerves are fine. Really don’t know what’s causing this. What do you think it is and better yet can I fix things? I’d really would like to try your diet for the joint issues and allergy and acne ones, but should I do the candida diet first? Please help me out I feel like I’ve lost control of my life and am really depressed about it. I will say I am also obese at 6ft 315 pounds and I gained about 80 pounds in the last 4 years so maybe it’s the weight ruining my joints. No idea I just really need your help. There’s a lot going on and it’s impossible to make a specific diagnosis, but you should eat PHD and live our lifestyle (read the book), also be sure to eat three to five egg yolks a day, 1/4 lb liver per week, and supplement glycine, N-acetylcysteine, taurine, vitamin c, vitamin D in winter, and molybdenum weekly. Thank you so much. I’m going to follow the PHD diet and take those supplements and let you know how things go. My diet has been terrible lot of fast food and processed food, not many veggies. I’m motivated to change now since I feel so bad and am going to get my life back. Hi Paul, what is your view of the use of Tauroursodeoxycholic acid (TUDCA) for Liver Health? I wondered if you are able to give me some advice. I have been following your diet, lifestyle, and supplement recommendations for years now (with two exceptions: I don’t eat liver and I do have whey protein isolate shakes a few times a week after weight training sessions). I have made great improvements in my thyroid numbers and sleep–thank you so very much!! I have read you believe eczema can be due to a high level of immunity and/or oxidative stress. Is there a test you would recommend or an obvious change in my diet/lifestyle/supplements you believe I should attempt? (As an aside, I did eliminate all dairy and the whey for a month with no improvement.) I’m just grasping at straws here and wondered what you would do in my situation. Be sure to eat 3-5 egg yolks per day. Make sure you are getting adequate vitamin A — if you aren’t eating liver you need to supplement, on the order of 30,000 IU per week of preformed A, preferably extracted from cod liver oil, plus eat lots of carotenoid rich plants eg carrots and green leafy vegetables. In addition, you need to support antioxidants. Again, if you aren’t eating liver you probably need to supplement copper. Then glycine, taurine, N-acetylcysteine, vitamin C, and vitamin E would all be useful supplements. Also, optimize vitamin D if you aren’t already. Try those and let me know how it goes. Also, read this: http://perfecthealthdiet.com/2012/01/around-the-web-why-i-blog-edition/. You are the best, Paul. I appreciate your time and will be in touch! Thanks so much! Hi Laura, would you be willing to share, or report back on your progress with managing eczema? As much detail as you feel comfortable sharing I certainly would appreciate as I’m dealing with the same thing. According to the USDA’s website, 1/4 pound (113g) beef liver contains about 29,479 IU Vitamin A, but you said it contains about 45,000-50,000 IU. Could you please clarify? I think what I said is that if you eat 1/4 lb liver per week then you don’t need to supplement vitamin A. You will get the remainder of A needs from the rest of your diet, especially if you eat abundant colored vegetables. 45,000 IU/week is a reasonable target for the diet as a whole. How much fruit should a 3-year-old child consume a day? I ask because the recommendation from the USDA is 1-1.5 cups and my 3yo daughter, who eats PHD and no added sugars, eats twice that much. (I don’t follow USDA dietary advice but a friend brought this up and we are now curious about your advice.) Many thanks! Your girl is doing perfectly. In general, a 3 year old will eat about half the calories of an adult, but with higher carb needs, so about 2/3 or 3/4 the amount of carbs. We recommend 3 or more pieces of fruit per day (about 3 cups) for adults and so for her 2 would be our recommended minimum. It’s OK to eat more and desirable to eat more if she doesn’t eat vegetables. The most important thing is to eat natural whole foods, not crackers and cookies, so good for her! I cannot tolerate the taste of liver, so I found this solution; I cook the liver, cut it into tiny pill-size pieces, freeze them, and swallow 16 grams (all at once) daily (which adds up to 1/4 pound a week). And my questions is, do you think swallowing frozen liver will cause any type of digestion issues? Especially since I take it with my meal, will it effect the proper digestion of the meal in any way because I’m swallowing something frozen? Hi Joe, No, frozen liver won’t cause any problems. It’s a fine way to get liver. I usually sleep great. But I just started following your advice on circadian rythmns – bright lights in morning, blue blocking at 8pm etc along with PhD food. I usually go to sleep around 11pm. I had been worried about a new job starting this morning. I eventually did after a few hours I think. But my question is why, when I followed all your advice , is the knowledge of starting a new fairly easy job enough to stop it all working. And is there a solution to this stuff. It’s impossible to tell what happened from a single day’s experience. But I would avoid supplemental melatonin, GABA, and 5HTP. Can I ask why you suggest avoiding these relaxation aids? My Doc recommended, so would appreciate to hear your reasoning. No, it’s not important to eat carbs (or fat) seasonally. Humans evolved in the tropics where there is limited seasonality. Time of day is more significant but the state of our knowledge is not yet secure about optimal timing. In general more protein earlier in the day, more carbs and fat later in the day, is optimal. Also, do fats need to be eaten seasonally? Is it ok for example to eat coconut oil year round? Thanks Paul! I appreciate your input. How important are carbs when it comes to having proper T-levels in men? I sleep better with them. My Doc recommended, so would appreciate to hear your reasoning – before I decide to stop. If you sleep better with them, then maybe they are good for you. But in general, the body becomes resistant to hormonal supplements like melatonin or GABA, so you can end up no better or even worse after a long time taking them. For most people, they are best reserved for transient use in situations like travel across multiple time zones. However, your doctor knows your case best. On this topic, do you have any thoughts about taking magnesium and/or taurine at bedtime? I ask because I’ve noticed that magnesium makes me sleep more deeply when I take it at bedtime. And I suspect taurine might too — at least, I noticed that taurine had a perceptible relaxing effect when I tried it; I haven’t (yet) tried taking it daily at bedtime to see if that translates to better sleep (or rather, as you remark above, to better sleep over a short-term experiment); do you know of any risks of doing so? Magnesium and taurine are two of my favorite supplements — also glycine which can also help sleep. I think these are safe, primarily because most people are deficient. This makes me wonder — in general, what do you think is the best way for most people to optimize magnesium, taurine, and glycine status? – Food alone (i.e. these same food groups in larger quantities). On one hand, getting nutrients from food instead of supplements generally seems to be a good idea, so I assumed the second was optimal, while the first was a good compromise, and that most of us should at least strive to eat more leafy greens, shellfish, and extracellular matrix. But on the other hand, these supplements could be taken at bedtime to enhance sleep (while eating any foods at bedtime would be counterproductive) — which is an advantage of the first strategy. Other food sources include heart (organ meats) for taurine, and magnesium-rich mineral water if you can find it. Extracellular matrix is key for glycine and also conserves taurine by providing sulfate. I would say that organ meats, extracellular matrix, and hard water were probably the key differences between ancestral diets and modern ones that lead to these deficiencies. I personally don’t mind a little supplementation to enable a bit more convenience in cooking and shopping, so I supplement magnesium and taurine rather than eat heart or try to find sufficient food sources of magnesium. I think extracellular matrix is important enough that one should try to get it in food. It sounds like you’re saying that the benefits of getting these nutrients entirely from food — definitely for glycine / extracellular matrix, probably for taurine and magnesium too — outweigh the benefit for sleep that taking these as supplements at bedtime would offer (which seems reasonable in light of ancestral diets). – Working backward from collagen synthesis needs, glycine requirements seem to in fact be that big (https://www.ncbi.nlm.nih.gov/pubmed/20093739). So shall we all eat that much extracellular matrix? If not, is there a lower amount of extracellular matrix which would be sufficient to provide all the other matrix components besides glycine, which could then be combined with a lower supplemental dose of glycine? I know that I definitely haven’t gotten close to that much from food alone — I only eat around 2 liters per week of joint stock, plus a few servings per week of higher-glycine meats like oxtail and shellfish — so I’ve been adding 5 g / day of supplemental glycine, which I take at the end of the feeding window, sprinkled on some berries as a dessert. By the way, do you have a reference for heart being high in taurine? The only source I could find (http://www.vetmed.ucdavis.edu/vmb/labs/aal/pdfs/spitze.pdf) put heart at 652 mg taurine / kg wet weight — in comparison to much higher values for shellfish (8270 mg / kg for scallops, 5200 mg / kg for clams, or 6550 mg / kg for mussels). The above-mentioned paper giving 10 g / day for glycine (which I assume is where you got your 10 g / day figure from originally?) obtained this as 11.5 g / day (estimate of optimal glycine intake) – 1.5 g / day (minimum amount of glycine one might get from diet, noting that a better diet would probably provide about 3 g / day). 8 g / day glycine with 1/3 dietary protein from extracellular matrix. If the 11.5 g / day figure were accurate, then we would be short of optimal glycine intake by ~3.5 g / day (~0.7 tsp) even if 1/3 of dietary protein comes from extracellular matrix (and what fraction of people on PHD do you think obtain at least 1/3 of dietary protein from extracellular matrix?). Also, glycine seems at least like a reasonable candidate for a nutrient likely to show benefit for above-ancestral consumption — glycine promotes methionine clearance, and sensing methionine levels (https://en.wikipedia.org/wiki/Mechanistic_target_of_rapamycin) appears to be the major input to the body’s decision to invest in current fertility versus longevity. That is, low methionine levels lower growth hormone, promote autophagy, etc., and thus there is reason to expect disconnect between what optimizes longevity, and what evolution has selected for. So, does it make sense for most people to take 1 tsp / day (0.7 tsp / day plus room for error) of supplemental glycine even if sufficient extracellular matrix is eaten, and 2 tsp / day if not? Or do you think there is no benefit of going above 1/3 of protein from extracellular matrix, and that higher glycine consumption is not worth the risk? Such a glycine supplement could be take with dessert (using the glycine as a sweetener), which would presumably also help with sleep. The 10 g is not a recommendation but a maximum (“up to 10 g”). Also, glycine is in the “Therapeutic Supplements” category meaning it’s not for everyone. With good diet it shouldn’t be necessary to supplement glycine at all (which the . However, glycine is safe in high doses so 10 g shouldn’t be harmful either. It can aid in bile conjugation and glutathione formation. People with gut issues or immune deficits may be deficient in glycine, so it’s worth taking some supplementally. Thanks for your detailed analysis. I would say healthy people should focus on getting abundant extracellular matrix in the diet, and that should be enough. Sorry to be a pedant, but isn’t GABA a neurotransmitter? I have had IBS 32 years, chronic fatigue, fibromyalgia for 20 years. Hypothyroidism for 26, celiac for I don’t know how long. I have been doing paleo off and on for about 3 years. When I’m off I’m really off; terribly addicted to sugar and dairy which I think I’m allergic to. Struggled for many years with depression. I want to have hope for healing but it is hard to keep hoping. As soon as I start paleo strictly I start to lose weight and feel extremely weak and go through much digestive distress. Adding rice to my diet is very appealing but I’m afraid my sugar “dragon” will rise up again. When I’ve tried to eat rice I want more and more. My main question is do you think someone can so damage their body with autoimmune issues that they can not recover? Eating the right amount of natural whole foods carbohydrates, with starch and sugar in the right proportion, will make you feel much better. Any hunger for starch will be temporary, it arises because you’ve been too low carb for too long and your body senses a need for carbs. Don’t worry, within a month that craving will be gone. If you are alive and able to post on web sites, you can recover. What are your thoughts on the benefits if any in taking regular ice baths? I’m not aware of benefits and it’s not without risks. If you want to try temperature extremes likely to be beneficial, I would recommend alternating saunas and cold showers. Thanks Paul. Do you like the far or near infrared saunas? Is there a particular time of day that is best to use them with regards to circadian rhythms? What would be some of the risks involved with the ice baths? Also, is it best to do the sauna first and then the shower or vice-versa? Hypothermia and frostbite, to begin with. I don’t think the order matters. Thanks Paul. I am buying a copy of your book for my doctor. I think she will love it and recommend it to her patients. Some of what I read in your book concerning intensity cycles in exercise reminds me of the work from Scott Sonnon from RMAX. He utilizes a 4×7 protocol in harmony with the Fibonacci rhythm. He is a mobility genius and has a lot to offer for all fitness fitness levels. Though he trains some elite level athletes he operates from a health first perspective. He’d be great to have at one of your retreats. I’m not in anyway affiliated with him but have benefited greatly from his work over the years and just thought I’d share. Thanks again for your time sir! I only eat one kind of fermented vegetable, which is dill pickles. I do not eat mixed fermented vegetables as you recommend, is this a problem? Is it preferable to eat mixed fermented vegetables instead of one kind because maybe different kinds of vegetables will increase the variety of bacterial strains? Yes, eating multiple kinds is generally good because it increases microbial diversity, but if you are healthy, then sticking to dill pickles is fine. we have a 2.5 year old son with cystic fibrosis. He is doing very well so far. His treatment includes inhalations (NaCl 6% and a few drops Salbutamol) and a course of antibiotics roughly every 3-6 months (mostly after they find staph. aureus after a routine smear). He is also taking pancreatic enzymes (Kreon) and the fat-soluble vitamins (1000 I.U. vitamin D, vitamin A and vitamin K1). We see a lot of potential in nutrition and diet to support his general health, immunity and to fight the chronic inflammation that can be part of cystic fibrosis. Your book and the resources on this site have been very inspirational for me and I wonder if you could give us some advice concerning nutrition and supplements (either general advice for a child of his age or advice specific to his condition). Sorry to hear of your son’s condition. I’m afraid I really don’t know how the diet should be altered for cystic fibrosis. I would probably recommend most strongly intermittent fasting and circadian rhythm entrainment, perhaps drinking decaf coffee during the fast, to promote movement of any excess mucus down the digestive tract. Vitamin A and D are crucial (as you seem to know) to support mucosal immunity. Immune support should help, perhaps extra vitamin C, taurine, and N-acetylcysteine. – Do you think 1000 I.U. Vitamin D (living in Germany) is enough? – How much Vitamin K should he get and is Vitamin K1 okay or would you recommend some form of K2? – Is there anything to help with the impaired production of glutathione? Bone Broth? Vitamin C? IF and circadian rhythm is an interesting advice. Can you explain your reasoning behind that? If you search google “valerie hudson cf” you can read more about the story. While IF’ing during the 8 hour feeding window is it ok to eat as often as you like or is it best to just have 2 meals spaced a few hours apart? Also, is there any benefit over skipping breakfast over skipping dinner? I find that if I skip breakfast I can’t fall asleep early enough at night. If it is best for me to skip breakfast will my sleep onset eventually improve? I use blue blockers at night and zero calories after 6:30. It’s fine to snack continuously or eat on any schedule within the feeding window. Generally, you’ll be prone to sleep 12 hours apart from your feeding window. If you want to sleep 11 pm to 7 am, then make your feeding window 11 am to 7 pm. If you want to sleep 9 pm to 5 am, make your feeding window 9 am to 5 pm. Light exposure should shift in sync with daytime light exposure beginning 2-3 hours before the feeding window. Is 30 minutes of a.m. sunlight 2-3 hours before the start of the feeding window sufficient to entrain ones circadian rythym? It’s a terrific start. You do need continuing exposure to bright light for at least several hours interspersed over the rest of the day. If you can’t get outside, try getting bright 5500K bulbs at home and work. What’s the minimum amount of a.m. sunlight that you’d recommend to help set our circadian clocks? Thanks Paul. I apologize for the duplicate post. When I checked later to see if my original post had been replied to I didn’t see my post so I wrote a similar one to replace it. Would the light coming they my office window suffice? I usually can get outside on average for an hour during the work day plus at least the first 30 minutes of sunrise. I did a DUTCH test and my doctor says my Estrogen levels are sky high. My testosterone levels are high/good but it seems I am aromatizing it into Estrogen. Aside from following the weight loss version of the diet (I’m 22.5% body fat) do you recomend anything to combat the estrogen. Egg yolks, liver, molybdenum, and seaweed – kelp has been shown to substantially reduce estrogen levels in women, it would probably work as well or better in men (https://www.ncbi.nlm.nih.gov/pubmed/15294021, https://www.ncbi.nlm.nih.gov/pubmed/27234961). I eat Korean style glass noodles made from sweet potato starch, and I was wondering if potato starch is a good source of potassium like regular potatoes, and also, do potato starch noodles contain resistant starch like regular potatoes when cooked and cooled? Thanks for all of your work! For most of my life, I’ve been susceptible to skin immunity issues, including dandruff, athlete’s foot, jock itch, mild seborrheic dermatitis on chest and face, as well as acne. I’ve been doing varying levels of PHD and supplements for a couple of years. I’m wondering if you have any suggestions of supplements or foods to focus on (or avoid) to help with skin immunity? Thanks! Vitamin A, vitamin D, minerals. 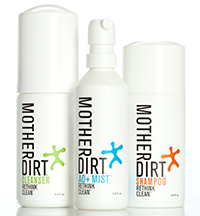 Probiotic skin bacteria, see AOBiome’s Mother Dirt line. I just started the Paleo diet this year, and I found it nourishing and satisfying, but it came to a point where I found it unsustainable. I then came across the PHD, which seemed to be referenced to a lot in the Paleo community, and the less stringent rules backed by science and evolution really opened my eyes to a new way of eating, so thank you. I do have a question about dairy specifically, though. You mention that dairy is a pleasure food in your book and that milk should only be drank as a child in the form of breast milk, but you repeatedly recommend sour cream, butter, and aged cheese. Is there a difference between types of dairy, I’m guessing it is due to gut bacteria / probiotics? I’ve tried researching but I cannot find anything specifically. Your direction would be much appreciated, as I would love to justify a dollop of sour cream on my sweet potatoes tonight. Thanks! Generally, dairy protein is hard to digest and potentially immunogenic, while the sugars (galactose) are potentially toxic in high doses in adults, however dairy fats are quite healthy and fermented dairy as in cheese is also generally beneficial. So, sour cream is fine, go ahead! Do you think the enzyme inhibitors in foods can be overcome with digestive enzyme supplements to some extent? If you are eating raw nuts and seeds in moderation, I don’t think you need to worry about enzyme inhibitors in food. Either cook nuts and seeds, or don’t eat large quantities. Enzyme supplements are not a solution because they will also cleave human proteins. I have been having Rosacea breakouts on my forehead and cheeks for about a year now. My doc has only provided me with a steroid gel and it is only slightly helpful. Is there anything you’d recommend for this? Thanks Joe! I will check it out. Amazingly, researchers have found that most cases of rosacea are associated with a higher-than-normal population of Demodex mites. They have now found that most people over the age of 18 — pretty close to 100% of adults — actually have Demodex mites on their face, and it’s not anything to do with cleanliness, lifestyle, diet, etc. For different reasons, in some people the mites can gain the upper hand and cause issues for the skin and eyes which can result in rosacea, seborrheic dermatitis, perioral dermatitis, eyelid infections, dry eye, etc. This has become clear over the last few years, but many dermatologists and eye professionals are not very aware of it. Dermatologists might prescribe a very expensive (my town’s pharmacy has it for $400 a tube) newish cream, which is normally not covered by insurance, called Soolantra, as well as serious systemic antibiotics for a month or more. Ophthalmologists might prescribe hypochlorous acid spray (the prescription one is called Avenova and it’s also very expensive and not covered by insurance — but you can get good, comparable hypochlorous acid sprays over-the-counter, such as Heyedrate spray) and an over-the-counter daily facial/eyelid wipe called Cliradex. Cliradex is an individually-packaged wipe that contains a certain small component of tea tree oil (that component of tea tree oil has been shown to be the most effective against Demodex mites, as well as one of the least allergenic). About 7% of people are allergic to tea tree oil in general, but the percentage of people who have an allergic reaction to the one specific component of tea tree oil that is in Cliradex is much lower than that. You can get Cliradex and Heyedrate on Amazon – check out the many customer reviews. Also, Cliradex has an extensive website with an informative blog, physician and patient written and video testimonials, etc. I have found both of those OTC products to work very well. If you are looking up references to Demodex mites (which I would encourage you to do, since you have treatment-resistant rosacea), there are articles in many reputable mainstream publications, as well as research articles in Pubmed.gov. Be sure to concentrate on the more recent articles (say, in the last 2 years), because older articles (even as recently as 3-4 years ago) repeat outdated percentages of how many people are affected by the Demodex mites, and they often recommend outdated treatments which have since been found not to be helpful. Ophthalmologists (at least the ones who are more up-to-date on this issue) often have free samples of Cliradex that you can try out. Although the Cliradex instructions say to use the wipe on the eyelashes and eyelids, you can use the Cliradex wipe on your whole face to combat the Demodex mites that cause rosacea. For your rosacea, I would recommend you give this safe, OTC treatment a try. What kind of water do you drink? Filtered tap water or something else? Do you have a recommendation? Please Help. I have been following your diet and feel so much better and have lost 45 pounds. However, I just found out I have b6 toxicity which is giving me hands and leg numbness and burning/tingling. I was only taking b-100 complex once or twice a week as recommended. But I was taking other supplements like Turmeric and Garlic which I know find out have B6 in them also eating foods with b6. The doctor said my b6 levels are twice the normal high range. Can you give me advice on how to lower b6 as quickly as possible? Does exercise help? Sauna? Also are any of the vitamins I take possible contributing to the high levels? Please advise I would appreciate it so so much. Thank you. The supplements I take Daily. And stop B-100 for now until Paul gets back. When I took turmeric, 500 mg per day for about 6 weeks, it gave me finger/toe numbness and markedly reduced the blood flow to my hands and feet. I have no idea why. I did not test my B6 and I didn’t know that turmeric might contain a lot of it – I had not read that before about turmeric. Turmeric had a LOT of beneficial effects for me, but I unfortunately had to stop taking it due to the unwanted side effects. After you have recovered from the high B6, in order to have adequate coverage of your Bs, you might take a lower-amounts combined B supplement like Jarrow B-Right, just once a week — or you can take the Bs individually, so you can adjust each one to the dose that works best for you. (or, if they contain the various amounts that are good for me, the forms of the vitamins are not what I am looking for — for example, I want methylcobalamin for B12 and methylfolate for B9 because of certain genetic variations). Thanks so much for the opportunity to leave a comment. I have been struggling to lose weight since I was a teenager (I’m 46 now). I have Hashimoto’s and am also now in surgical menopause. I could write a book on all the various approaches I have tried. At any rate, I’ve been paleo for a few years but mostly low carb, and would like to try PHD (with an AIP approach). 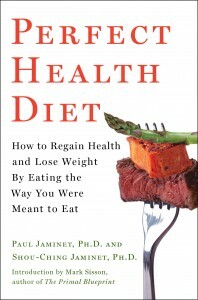 My question is, you did not specifically mention limiting fats in your interview here: https://liveto110.com/68-perfect-health-diet-weight-loss-dr-paul-jaminet/, as you do in your book and on your blog. I was wondering why that was. Your recommendations haven’t changed, have they? Thanks for pointing out that interview. It looks like it has good content. As for what to do about fats when you are trying to reduce weight, Paul has mentioned in several places in this comment section how he would recommend reducing fats a little bit (but not too much) — do a site search and see if you can find those comments. Oh, I also meant to ask…what tests would one obtain to check for infections that might contribute to obesity, as you mention in your book? And then how would a person treat them? I have been on the weight loss version of the diet for 3/4 weeks. I have gone from 94kg to 90kg so far. However, I’m definitely losing muscle. I am relatively sedentary due to long office hours. as I have been suffering from sleeping problems, frequent headaches and a general lack of energy for several years now, I read your book and it was a real eye opener! The problem I am facing at the moment, is that I have been a vegetarian since I was 5 years old (i.e. for 22 years now) and it is very very hard for me to eat meat at all ( I did try, but I can’t get over myself). I am currently trying to slowly add more and more fish to my diet, as that is the most bearable for me and was therefore very interested in the short passage about the Kitavan diet, as there was no meat included in that one. All this leads to my questions: Would it be possible for me to simply exchange meats like beef and pork for Salmon, Tuna and white fish in phd recipes, provided that I supplement organ meats? Fish and shellfish are a great way to start. Yes, you can replace beef and pork with fish and shellfish. I would still try to get a 1/4 lb liver per week and 3 egg yolks per day, however. Hi Lucas, you can buy dessicated liver and grass fed gelatin to get benefits without actually eating flesh. I’m a 23 year old male, and I just got my Serum Ferritin results and it’s 556 ng/ml. I will donate blood soon. I was wondering if it is normal to have such high levels of iron or do I have some kind of genetic dysfunction that makes my body absorb excess Iron? And if I have such a dysfunction, how often do you suggest I donate blood? Can you please tell me what the maximum Serum Ferritin number should be? Also, do you agree that the maximum number increases with age? My father (age 60) also got a blood test for Ferritin, and the lab said, because of his age, his standard range is 50-530 ng/ml, whereas my range is 38-270 ng/ml. No, it’s not normal. It could be genetic (there are common genetic variants which lead to iron overload) but it need not be. Donate blood as often as the Red Cross allows. I aim for serum ferritin between 50 and 150. If you “have not worked out for a month” and are restricting calories, you are guaranteed to lose muscle. Try exercising daily, including some resistance exercise, and eating more calories. Your weight loss may be slower but it will be healthier. Is there any issue with using Whey protein a few times a week in place of meat? (E.g. for my lunch protein I take Whey and for dinner I have meat/fish). It allows me to do much less cooking. Also, at the moment I’m trying to lose weight, and I was wondering if there is any benefit or risk to walking in the mornings in a fasted state (walking before eating any calories), and also, how about doing some high intensity training in a fasted state in the mornings (sprinting/strength training)? Any benefits or risks as far as weight loss is concerned? Hi George, Natural whole foods are always better, as they have a host of micronutrients in more or less the proportions needed to support life, whereas whey protein powder has nothing but amino acids, which are easy to get from food and are rarely or never deficient. I am 25 years old and have been struggling with debilitating brain fog, fatigue, insomnia, heart palpitations, and bloating for years. I constantly feel stressed out. My stool tests seem to show no infections, and my doctors claim that my blood tests are normal. My white blood cells are slightly low at 3.5 and my TSH is slightly over 3 which I think is high. I have been eating the Phd for several months after experiencing a worsening of my symptoms on a very low carb paleo diet. I have been entraining my circadian rhythms, but I still experience poor sleep and fatigue/brain fog throughout the day. Could this be SIBO or a leaky gut? Any advice? Yes, your TSH is high, you should ask your doctor to prescribe levothyroxine, and supplement iodine at a low dose. You have a neutropenia/leukopenia, those are often due to viral infections. You might try supplementing lysine and vitamin C, 5 g per day each or more. Also make sure vitamins A and D are optimized, you do intermittent fasting, and entrain circadian rhythms. The brain fog is typically due to inflammation from the gut and/or a leaky gut, so you are right to consider addressing gut issues. Eat lots of extracellular matrix, supplement taurine and glycine with vitamin C, eat 3 egg yolks per day and 2 tbsp vinegar, and follow the other steps outlined above. Is it not preferable to eat vegetables and fruits seasonally? Any validity in this idea? Hi George, I don’t think so. There is very little evidence for circumannual cycles in humans; we evolved in the tropics which had little seasonality; and restricting fruits and vegetables by season impairs nutrition for no known benefit. I’m Portuguese and I got the book recently. After a few failed attempts without diagnosis – the doctors diagnosed me vaguely as anxious and with IBS – I did some tests that point to a materialistic diagnosis. My problems are, basically, brain fog (24 hours / day), allergies and some (slight) abdominal malaise, but with swelling present. For the past two years my food has been so restrictive, eliminating all possible carbohydrate, feeding me only meat and fish and fats. That is, two years in ketosis. As a result, my immune status decreased, my leukocytes, for example, decreased (from 4.4 to 3.1), such as thyroid. Consequently, some viruses appeared positive (IGG and IGM fraction): Epstein-Barr and HSV-1. The doctor’s data revealed * many * yeast (microscopic) and sub optimal amounts of Bifidobacteria and Lactobacillus (both 2+). Negative respiratory (glucose) test for SIBO. My thyroid is, according to the biomarkers, optimal. Sub optimum are some nutrients, so I will try to solve this problem. I added a supplement regimen that includes: NAC, Glycine, Taurine, the recommended minerals in PHD and Vitamin C. But also some Chinese herbs and adoptogenics. I look forward to probiotics: VSL # 3 and a Bio Cándea. I try to ingest above 100 grams of carbohydrates daily. Exercise, outdoors in the early hours. Circadian rhythms, 9 hours of sleep. I li tried it fluconozal and another (I believe it used to pet). Your opinion seemed to me positive. Would recommend? What I would add in this protocol. I think you are doing well. Circadian rhythm entrainment and NAC, taurine, and glycine are good. Be sure to eat 3 egg yolks per day and 2 tbsp vinegar; extracellular matrix in soups and stews; optimize vitamin A (liver, carotenoids) and D (sunshine, supplements); do intermittent fasting; balance zinc and copper; supplement a low dose of iodine daily; treat hypothyroidism. A high fiber diet will help you excrete fungal cell wall components which are highly inflammatory. Fluconazole is risky, it should be taken only in severe cases. Nystatin is safer. Either way, you need to optimize diet and lifestyle if the effects are to be more than temporary. What are your recommendations to optimize liver function? Hi Shane, Just regular PHD – the same things that optimize the body as a whole will optimize the liver. If one had NAFLD would you recommend any specific supplements? Pantothenic acid, vinegar, egg yolks, and the bile and glutathione supports glycine, taurine, and N-acetylcysteine will help. But the most important intervention is to minimize omega-6 fats, avoid fructose and alcohol, and make one’s fat intake saturated fat heavy. So relative to normal PHD, you would, for example, avoid olive oil and avocado oil and instead use butter and coconut milk/oil, and switch from other nuts to macadamia nuts. I will definitely be avoiding fructose! I recently experimented with high fructose consumption and it did NOT go well! I felt great initially and then a few days later I started having panic attacks again! My blood pressure and pulse are STILL elevated. It also feels like my cortisol levels may be very high.My stress tolerance is notably much lower. I still cannot believe the negative reaction I had to that much sugar, mostly OJ and milk. Sounds like a flirtation with Ray Peat. Hope you feel better soon. What would the impact be of eating PHD, but replacing starches with fruits at most meals? Thanks so much for the excellent resources and the book. Fantastic analysis of some great science! I regularly use ground cacao, typically in my coffee. You recommend some dark chocolate consumption, and although that is occasionally in my diet, I do try to avoid sugar unless it is in the form of a whole fruit. Would ground cacao have similar effects as chocolate? Thanks so much for your thoughtful work! I have been a strict follower of everything PHD for the last three years with great results. Recently I read an article entitled “To Live Longer, Cook This Way: Reduce AGES In Your Food” by Helen Vlassara,MD Mt Sinai School of Medicine. The article outlined ways to reduce AGE consumption including eating less fatty meats and avoiding high heat methods of preparing foods. I was under the assumption that saturated fats such as animal fats and cocconut oil was heat stable and less likely to cause problems when using it to cook with. In order to keep my fat consumption in the 55% range, I rely on the use of such fats for preparing various dishes. Am I at risk of higher levels of advanced glycation end products by using animal fats and cocconut oil to fry foods? – You can add butter or sour cream to steamed potatoes after cooking, instead of frying them in butter. Is it alright to microwave vegetables and potatoes, rather than boiling or steaming them? I’m new to the PHD diet but am having good results so far. Yes, microwaving is fine. See our blog post on the topic. Thank you, Paul, but I can’t find the blog. Is that the Newsletter? With careful food selection, I can obtain 750 mg of vitamin C; 175% RDA for thiamin, 250% RDA for pantothenic acid, and over 250% RDA for the other B vitamins that you recommend supplementing. These amounts vary from somewhat less than the recommended supplement (e.g. 750 mg versus 1000 mg for vitamin C) to quite a bit less (e.g. 250% RDA versus 10000% RDA for pantothenic acid). Are these lower amounts sufficient to achieve all benefits of the supplements? Or would supplements be advisable even with this level of intake? Probably yes they are. The logic for higher doses isn’t that it’s optimal – we don’t know – but that deficiencies are extremely harmful whereas excesses seem to be mostly inconsequential, thus the risk-reward is good. The optimum is probably a very flat very broad range. Your intakes would appear to be in that optimal range, so no need to supplement. I just accidentally found this site and am totally intrigued.I am post-menopausal and am hypothyroid. I exercise and can’t seem to lose weight. I am trying a ketogenic diet and am learning that it might not be good for me. I was wondering if the Perfect Health Diet deals with these issues. You’ve found the right place. We’ve had great success healing hypothyroidism and supporting weight loss. We’ve also been a leading source on the risks of being too low in carb consumption. Carbs and protein support muscle mass, so there’s no need to change anything about the diet, just eat more calories. You could try a few tweaks: try eating a small amount of carb and protein before exercise, e.g. a small potato and a bit of fish; try eating the same as a small breakfast at the start of day, say 8 am, and get 10 minutes of light activity outdoors to start the day. Is there a nutrient deficiency that would cause loss of balance? I’ve gone to the dr twice and they test hA1c, glucose, cortisol, folic acid & b12 levels, thyroid everything but it all comes back normal. what would loss of balance/dizziness be and what should be taken to fix it? any advice is appreciated. Hi S, Hard to say but I would tend to phospholipids (egg yolks, liver), electrolytes (potassium, calcium, magnesium, salt, iodine, lithium) and immunity (vitamins A, D, C, zinc, copper, glycine, taurine, NAC, iron). I just thought I would post an update in case anyone else had this. I still have the episodes of loss of balance. I did see my doctor again and did more research and found that copper deficiency can cause symptoms of ataxia, as well as manganese deficiency, and biotin deficiency. My serum copper and ceruloplasmin levels were normal; serum manganese was normal. He did not test biotin (I even printed an abstract of a young woman who had symptoms of Multiple Carboxylase Deficiency- ataxia adult-onset- and improved with biotin supplements. I previously tried biotin but the OTC dosages did not make a difference. OTC biotin is in mcg and pharmacological dosages are in at least 100 mgs). I do notice that the episodes seem to be more frequent/worse after drinking caffeine. Caffeine is antagonistic to biotin and probably other minerals as well, so I think this is the answer, but have nothing on a piece of paper to confirm it. I eat eggs with the yolks, so it is not a dietary deficiency. My vitamin D levels had been low in the past and I had been taking 800 IU of D3 daily, but stopped because I was having extreme loss of balance issues at the time and thought the supplement may have been causing it (I react to many supplements with dizziness/loss of balance). Holding back on caffeine does not completely eliminate it, but helps somewhat. Thanks for the update! Be sure to get adequate copper, either from ruminant liver or chocolate and nuts. The OTC 5 mg biotin pills should be more than adequate taken once per week. I do recommend avoiding caffeine, I drink decaf coffee myself. What is your take on homeopathic remedies? Are they safe? worth trying? Here LDL is still low so it would be good to reduce her statin dose further, in my view. It would be good to switch to black coffee if she can, to reduce calories during the fast and enable her to eat more whole foods during the feeding window. To reduce trigs, focus on the small intestine (vitamin A, D, C, glycine, taurine, 2 tbsp vinegar and 3 egg yolks per day, 1/4 lb liver weekly, iodine). Extracellular matrix would help. Really, cutting cream from her coffee and sweet wine at night, replacing them with food during the feeding window, might be the most helpful interventions. At most one glass of wine with dinner, but cutting alcohol would probably help. The yeast infection may still be present in the small intestine, so you definitely want A, D, C, intermittent fasting, circadian rhythm entrainment, iodine, and vinegar. I wouldn’t recommend antibiotics at this point as reducing bacteria would promote a fungal infection. Thank you, Paul! This is so very helpful, and we are most grateful! I’ve been following the PHD guidelines for over a year now and feel great. In July i plan doing a long Hike in the Spanish Pyrenees where i need to carry food for ~10 days that wont go bad unrefrigerated. Basically i am wondering if one can maintain a healthy gut without a refrigerator? Pemmican (made of tallow and jerky) would be a obvious choice. BUT you cant buy it in Spain, in Supefmarkets. Do you have any suggestions what to do without the possibility to cool food? Trail mix (nuts and dried fruit) is pretty good. I wouldn’t try to rigidly maintain PHD guidelines on a trek like that. Sounds great, have fun! I am afraid of bowel problems on the Hike. My Hikes usually last ~30-60 Days and i resupply every 5-15 days, depending on the region i am in. I always carry some kind of stove in which i can cook rice. Still wondering if you got some more tips or answers to my questions. Do you think a probiotic supplement would be beneficial on such long hikes? When i am resupplying i could also buy some fresh organ meats, eggs and fish. Fuel. But i would definately consider preparing some Broth when i am resupplying. Or do you really thibk all this concerns are false economy and i should just eat whatever has the most calories to weight and taste? Again in a diet like this i would be afraid of digestion problems and then suffering of bad mood, low energy and a higher risk to get a flu or whatever. Thank you very much in advance, Paul. What you do really is a great act of love and giving to people. I am so happy that you answered my question so fast. If i was living in america (i am from germany) i would definately take part in a retreat and have some more in depth discussions with you. By the way i thought of carrying rice, butter, dry ham, some dark chocolate and very few nuts. Maybe olive oil, tomato paste and some spices. When available more dried fish or meat. So Breakfast and Dinner would be rice with butter and meat. Lunch would be chocolate with nuts. Every 5-15 days i would eat liver and eggs. What do you think? Is this okay or not much better than eating a standard “trail diet”? This is a good diet, so if it’s feasible to carry it, then I would applaud you for eating it. Good luck with your hiking! Paul I really need your advice. I have been following PHD and have read the book and have lost 67 pounds going from 350 to 283 in about 10 months. I am 32 years old. Even with weight loss I still am having a lot of issues with symptoms of Low T such as weakness, fatigue, bones cracking cause I’ve been told Testosterone isn’t enough to support them, foggy brain, poor memory. I know I still have a lot of weight to lose. Back in January at around 300 pounds I had blood work and had low Total Testosterone but my Free Testosterone was in range. The endocrinologist said that it is because I’m overweight and hormones are greatly affected when a person goes above 30% BMI and that my testosterone will improve greatly when I reach below that BMI which is 215 pounds for me. That if I went on Testosterone replacement therapy it would be bad long-term cause my body would stop naturally producing it. I am 32 years old. In your book to raise T you mention high fat diet/low carb which is what I have been doing. You also briefly mentioned fasting for raising T. Should I be doing intermediate fasting only 8 hours a day or even less? Right now I eat between 9-7pm so taken it down 2 hours would that help? Your friend Mark Sisson mentioned on a podcast that fasting after exercise can help raise Testosterone this seems like a difficult thing to do. Also do any supplements help raise testosterone like DHEA or are they ineffective? Finally looking at my blood work do you recommend that I do get Testosterone replacement therapy because my numbers are so low that it is urgent? I appreciate your help and your book so much thank you for all you do. First, congratulations on your progress. Losing 67 pounds in 10 months is great. You have some sort of inflammatory condition which is causing the brain fog, poor memory, and also causing you to hold on to weight. You’ll have to fix that to reach your target weight. I think you should be eating the standard PHD. This is higher fat than conventional diets, but for weight loss you don’t want to go too high in fat. Eat just enough to be well nourished (e.g. eat 3 egg yolks per day), but let your adipose stores supply the fat that your cells burn for energy. You don’t need to eat a lot of fat, just be well nourished. Going too low carb will suppress immunity and hinder your progress. I wouldn’t fast after exercise, I’d exercise fasted and then eat immediately afterward. Yes, you should be doing intermittent fasting, 16 hours fasted / 8 hours feeding every day. Eliminate calories from the fasting period, e.g. drink black coffee or tea or water flavored with vinegar or lemon juice. Intermittent fasting will help you a lot, including with testosterone. Don’t focus overly on testosterone. Every aspect of health is important. For example, I’d be curious to see your LDL, HDL, triglycerides, TSH, and iron levels. These are all important parameters which may help you improve. No, I think your doctor was correct about avoiding exogenous testosterone. You should heal (and raise testosterone) naturally. I can give further advice but why don’t you try to implement the book’s advice more thoroughly, including eating in food plate proportions and doing the intermittent fasting and circadian rhythm entrainment of part V, and then let me know your medical lab values after those changes.